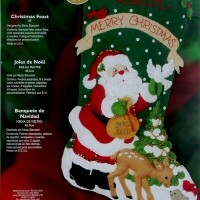 Santa Stop Here 18" Bucilla Felt Christmas Stocking Kit #86707 - FTH International Sales Ltd. 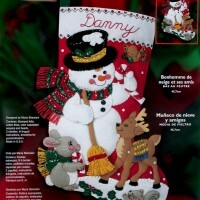 This is just one of several new Christmas Felt kits being released for Fall/Winter 2016. 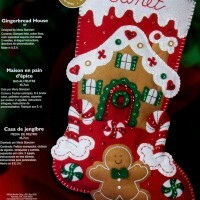 Please check my listings to see the other new kits. 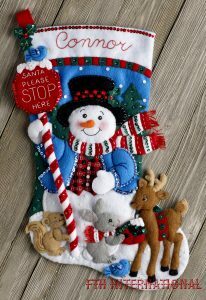 Frosty the Snowman and his animal friends want to make sure Santa doesn’t miss any stops this year by making a sign that says, “Santa Please Stop Here”. 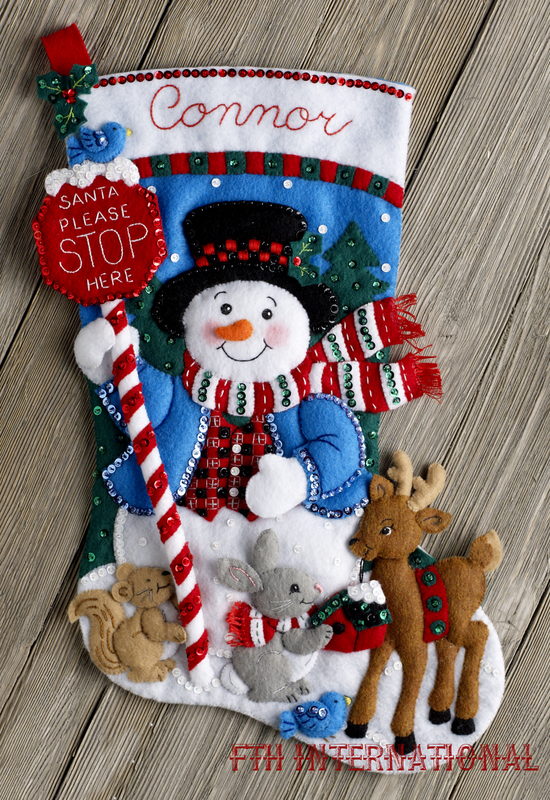 The little bunny and reindeer have even brought the little blue bird’s house along to make sure Santa doesn’t forget to leave treats for the birds in their tiny little house.